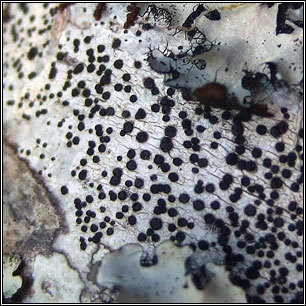 Thallus thin and smooth to thick and cracked, whitish to pale yellow-grey, often with black prothallus. 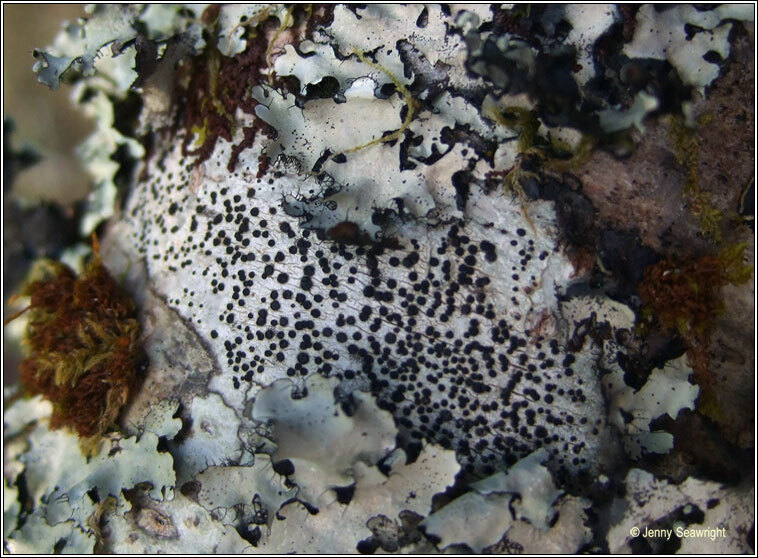 Apothecia with flat to slightly convex black discs, the margins usually persistent. 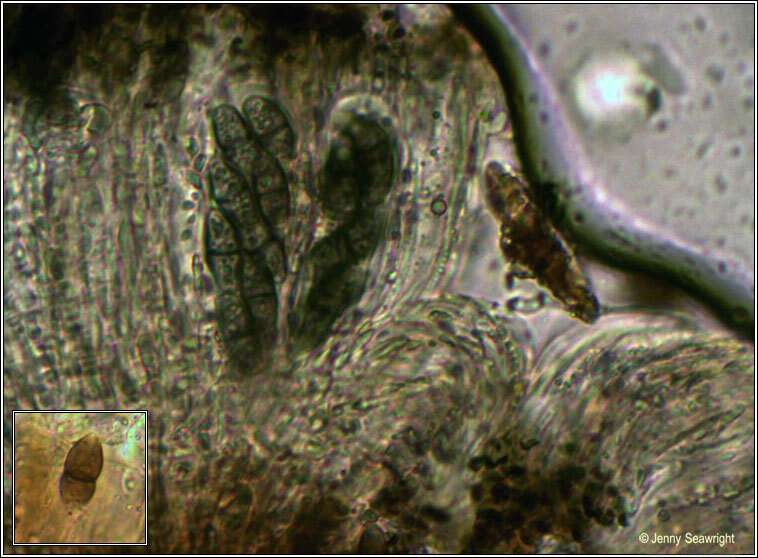 Asci 8-spored, spores brown, 1-septate, 17-26 x 7-10 µm. Micro photo below. 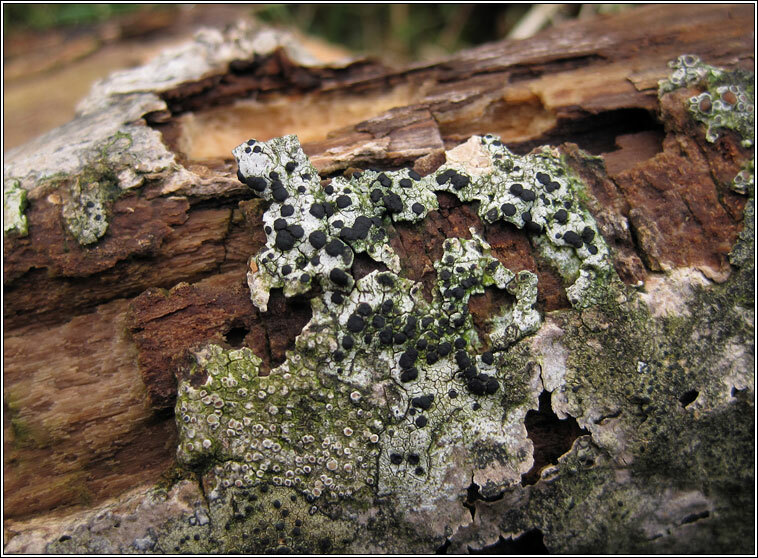 Can be frequent on twigs, branches and trunks of smooth-barked trees. Mainly found in west and north of Ireland.